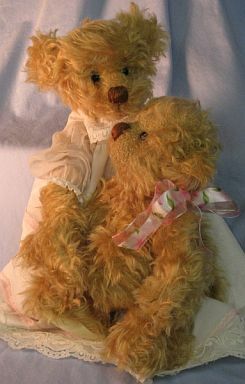 “I have always collected bears, but had never given much thought to actually making one myself,” recalled Anita Spero. That is, until she happened upon a teddy bear making book. Reading it cover to cover in one day, she immediately bought materials and got busy. 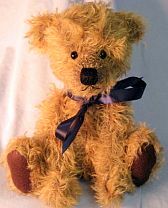 Growing up with a family of artists and other assorted creative types, making bears seemed only natural. 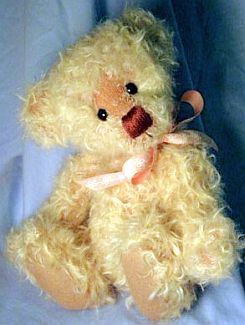 “I started by teaching myself and using other artist’s purchased patterns.” After Anita became comfortable with sewing, she began designing her own teddy bear patterns. Snowbound in a house in Red Lodge, Montana for nearly two months, with nothing but time and a sewing machine on her hands, all aided in her quest to learn bear making. Living in a house on East Bench Road, it seemed only natural to adopt that name as her business name. “It was a place of healing and learning,” she recalls fondly. She now resides with her parents and sister in Chicago, Illinois. "Being a close-knit family, we are always together!” she said. Collecting bears has always been important to Anita. 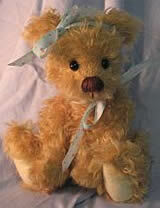 “In fact, my very first bear (Mr. Bear) has been with me through every important life change. He was there to soak up my childhood tears, when I moved away to college, when I returned home, when I moved to Florida to begin my teaching career, and when I moved back home.” Now he sits on a shelf in her room where he proudly watches her and “I can see him every day. 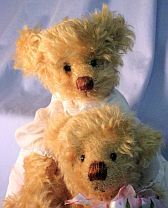 Mr. Bear reminds me of all of the challenges I have been through and that I can indeed resolve or conquer.” She sites the biggest reason she loves making bears; “they are cuddly soft reminders of the beauty of life! Anita now designs all of her own patterns in various sizes and styles and loves to work with mohair and upholstery velvet. She has now become enamored with making miniature bears out of mohair. Valerie Rogers, presents Anita with her URSA Award in October 2006. 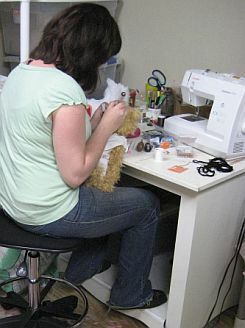 Anita busy creating a new bear! 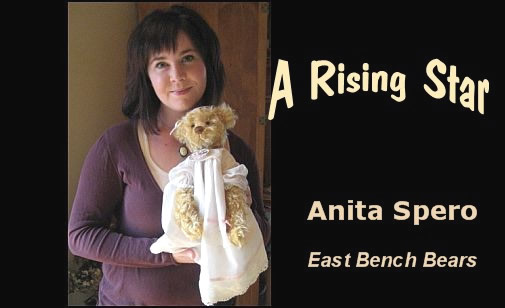 Besides making bears, Anita is an avid reader, writer and a new teacher. “I recently graduated with a Master’s Degree in Elementary Education and am anxiously awaiting my first teaching assignment.” She also enjoys needle punching, scrap booking and making collage art. “I love trying new things.” she commented. Anita’s work can be found on her website and at her Etsy online store. 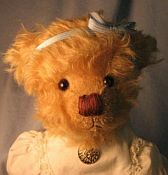 She was the featured ‘March Artist of the Month’ at North Country Teddy Bears. 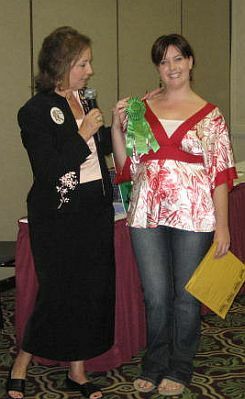 Winning fifth place in the 2006 URSA awards in Category 5: Undressed over 15 inches, she was present in Louisville for the presentation. She will also be featured on HGTV’s, “That’s Clever!” program this fall. a bear artist, Anita knows one thing for sure; that she will continue trying to make that one “perfect” bear, ever striving to create high quality pieces that can be passed down through the generations. 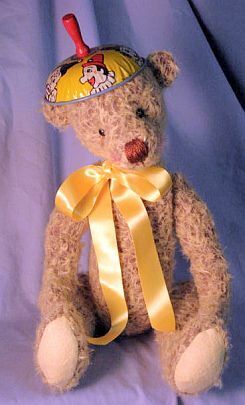 “I hope to continue making bears for a long time to come!” We couldn’t agree more.